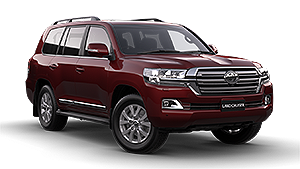 We designed the LandCruiser 200 to be Earth’s greatest 4WD – prestigious, adventurous and trust-worthy. It has all the grunt and muscle you’d expect from the legendary king of Australia’s off-roads, yet it’s also an incredibly comfortable car on the tarmac. To make sure you don’t lose your way along the open road, the Sahara, GXL and VX models are all equipped with Satellite Navigation [N1]. Bluetooth®[B5] technology has been integrated into the audio system. 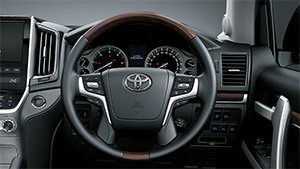 You can make and receive calls while driving, allowing your focus to remain on the road. 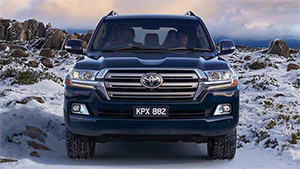 In terms of 4WD car performance, the LandCruiser 200 sets benchmarks in off-road driving. Cutting edge technology, clever innovations and technologically advanced design features all combine to produce a genuinely unique four wheel drive experience. 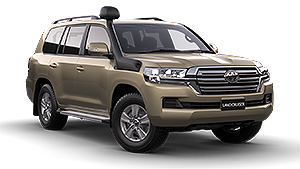 The LandCruiser 200 has a rust-resistant, high strength, high rigidity framework to help protect everyone travelling inside and an external body structure that helps absorb impact to minimise damage when involved in a collision. 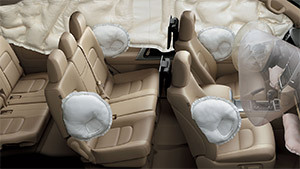 A system of SRS airbags also helps provide protection for everyone on the inside. 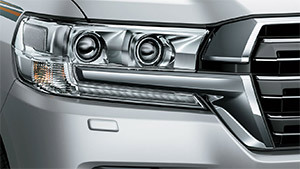 The headlamps are based on a barrelled dual-lamp (low/high beam) style with a 3D design that is set up high on the vehicle to help prevent damage to the front lamps. 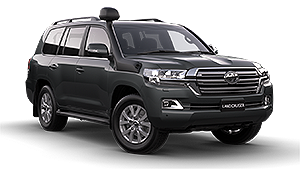 LandCruiser 200 wheels are precision engineered, fitted and tested to some of the highest levels of safety and durability. 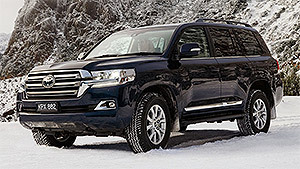 Toyota Service Advantage is one of the included features of owning a LandCruiser 200. 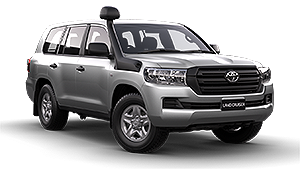 You get low cost, capped price, standard logbook services at $220 for the first 3 years or 60,000km, whichever occurs first [T1].